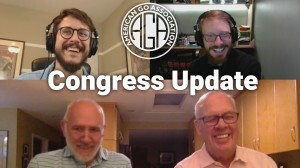 The American Go E-Journal’s coverage of the 2017 US Go Congress begins Saturday, August 5 with live broadcasts on both our YouTube and Twitch channels at 2:30p PST with a Congress overview and intro with AGA president Andy Okun and Go Congress Co-Director Ted Terpstra, hosted by EJ Managing Editor Chris Garlock. Then at 3p PST catch the City League finals with Jennie Shen 2p, hosted by Andrew Jackson. 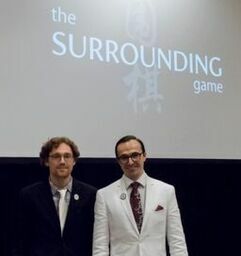 After the finals, Garlock will host a wrap-up and preview with the directors of “The Surrounding Game,” which screens Saturday night at the Congress opening. And be sure to follow us on Twitter for live tweets from the Congress site in San Diego. 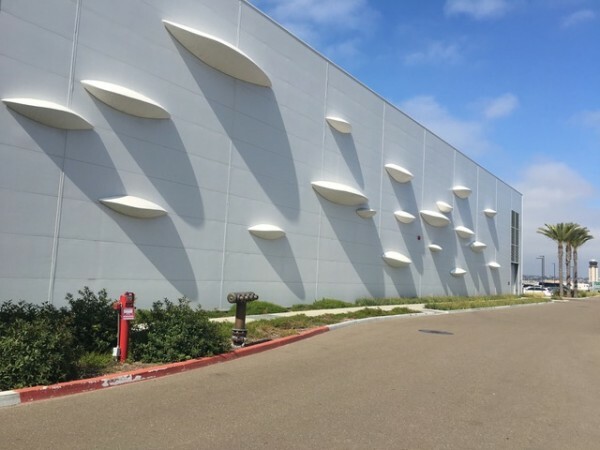 With just a week left before the 33rd US Go Congress kicks off next Saturday at the Town and Country Resort in San Diego, California, the schedule for the week-long event is finally complete, reports Congress Co-Director Ted Terpstra. Currently there are 531 registered attendees including 26 professional go players. There will be a ten-session Go Teachers’ Workshop for those wanting to learn the optimal ways of teaching go in the classroom. Many of the teachers’ session will be given by Myungwan Kim, 9P. Coordinating the workshop is Jonathan Hop <yithril@gmail.com>. 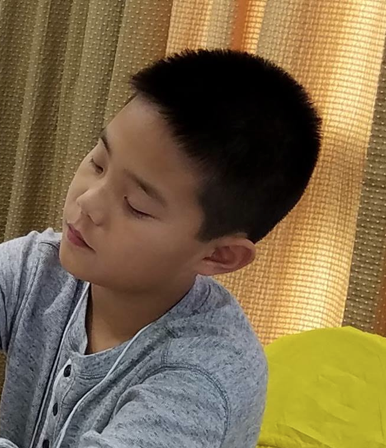 For young very-strong players, there will be a 10-session workshop sponsored and run by the Nihon-Kiin professionals: Yashashiro, 9P and Tsuruta 4P. Coordinating the very-strong players workshop is Ihan Lui <ihan.lui@gocongress.org>. Each afternoon and evening after the US Open rounds (Sunday-Friday, except Wednesday), there will be lectures and game analysis by the more than 20 professional players from around the world. There will be sessions for the best players as well as the new players who are starting their climb to the top. 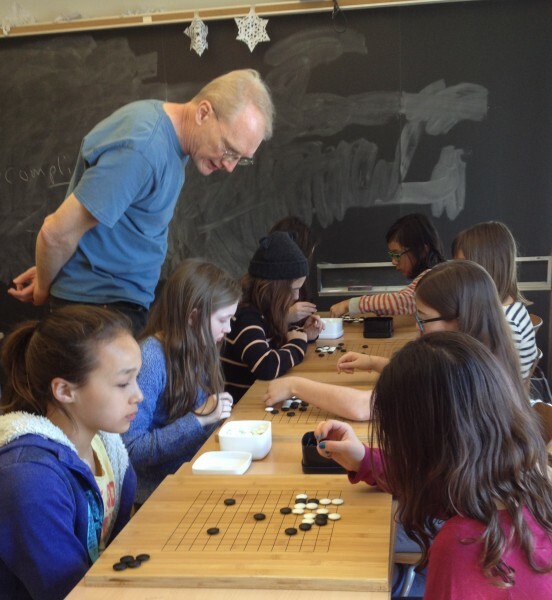 A special set of go classes will be given by European go teacher, In-seong Hwang <admin@yunguseng.com>. 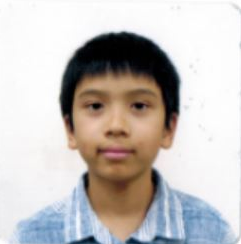 His lecture topics include Let’s get the Go-Avengers (includes Thor vs Hulk, Iron Man vs Black Widow and Captain America vs Nick Fury), Let’s make Go Easier and AlphaGo Games, the Future of Go. More than 450 attendees have already registered for this year’s US Go Congress, set for August 5-13 in San Diego at the Town and Country Resort. 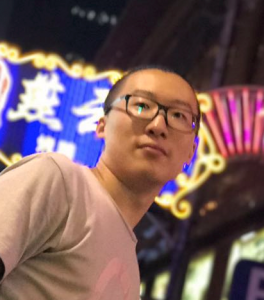 So far eleven North American-based professional go players have accepted invitations to attend, including Myungwan Kim 9P, Yilun Yang 7P, Mingjiu Jiang 7P, Cathy Li 1P, Shirley Lin 1P, Jennie Shen 2P, Stephanie Yin 1P, Eric Lui 1P, Ryan Li 1P, Andy Liu 1P and William Shi 1P. 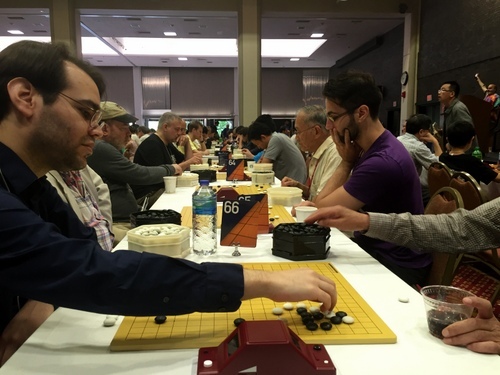 “Every afternoon and evening during the Congress — except Wednesday which is a day for sight-seeing — these pros will be lecturing, playing simultaneous exhibitions and analyzing Go Congress players’ games,” reports Congress Co-Director Ted Terpstra. 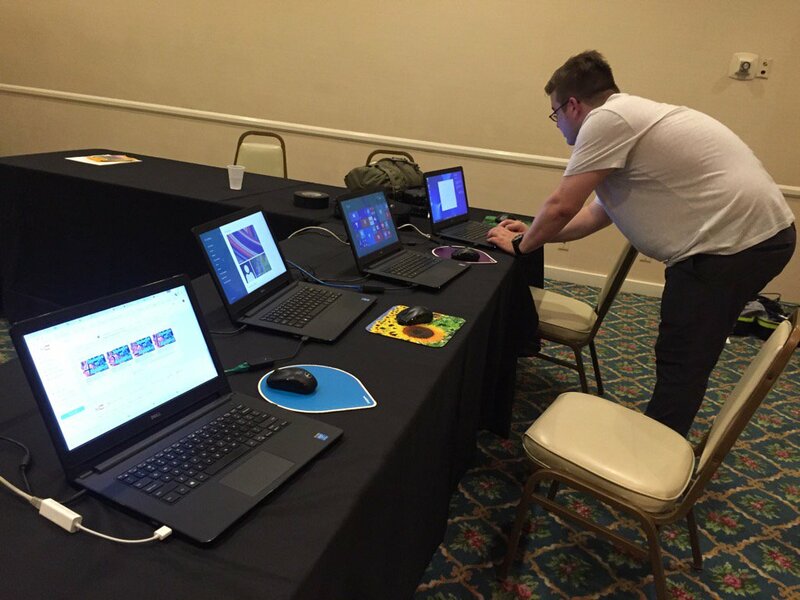 “Multiple sessions will be going on at once, so it may be difficult to go to all of the events that one would like. The complete schedule will be released as soon as it is ready.” In addition to all of the pro events, will be a five-day workshop by noted European-based go teacher In-seong Hwang. 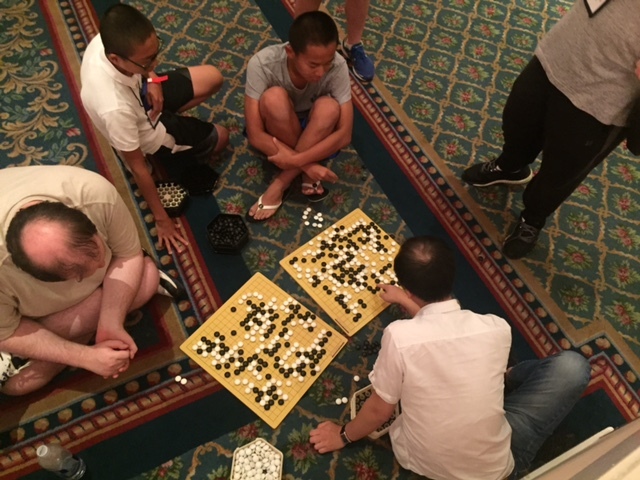 Also, foreign professional go players from China, Japan and Korea will be coming to the Congress to teach. More details on them and their lectures will be forthcoming. All of these sessions are included in the price of Congress registration. 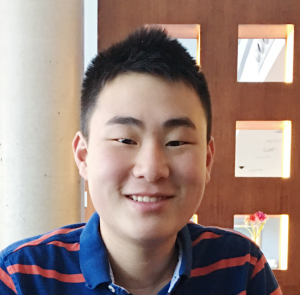 Due to the excitement surrounding the recent AlphaGo – Ke Jie match and the Memorial Day weekend, the Directors of the 2017 US Go Congress – San Diego have decided to extend the end of the early-bird Congress registration from June 1 to Monday, June 5. “This will enable registrants to still take advantage of the $50 saving for Congress registration and the subsidized meals packages through Sunday, June 4,” says Ted Terpstra. 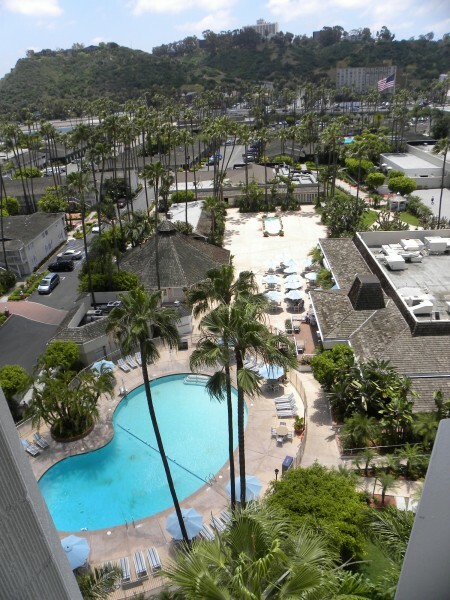 The Congress will be held at the Town and Country Resort in San Diego from August 5 to August 13. Discounted hotel reservations can be made through the Congress web site. Nearly 400 have already signed up to attend the 2017 Congress, including delegations of players from China, Japan, and South Korea. Teachers and pros from around the world will be at the Congress to lecture, play simultaneous exhibitions and analyze games in the afternoons and evenings. A round of the US Open will be played every morning except Wednesday, which is a rest day to take in the sights of San Diego.